Rupal is a village in Gandhinagar District of Gujarat state, India. 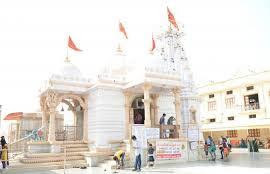 It is located 13 KM towards North from District headquarters Gandhinagar and about 40 KM far of Ahmedabad.The vardayini maa mandir middle of this village.Rupal's Vardayini Maa temple is famous for Navratri utsav "Pyor Ghee plli. 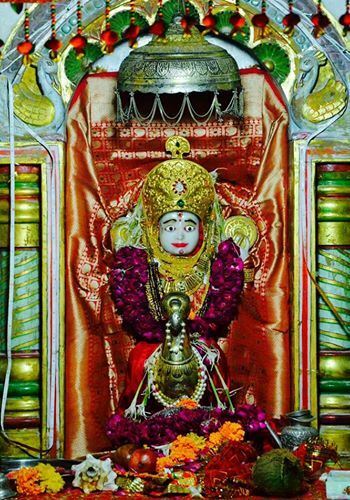 "Here is some fact about Vardayini Mata Temple Rupal near Gandhinagar India. How to Reach by Road : There are many public and private vehicals available to reach here.The Rupal village is well linked with all foremost villages and cities by road. 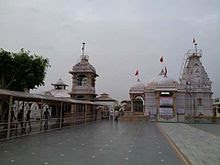 Vardayini Mata Temple is located at Rupal village near Gandhinagar.The templeis built by Pandavas.The temple is dedicated to Goddess Vardayani.This temple is very beautiful and nice.This temple is famous for Navratri Ghee Palli festival.On the Navratri festival, a "Rath" of Goddess Vardayini is taken out from the middle of the village and reach to the main temple. 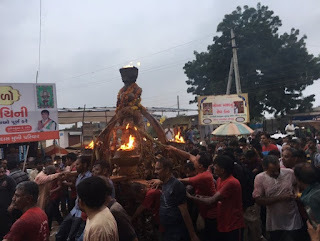 Ghee Palli Festival is most famous in Rupal.People of the village and history say that, This festival has been started by the "Pandavs" since the time of Mahabharat. People come to the village and do prayer for their family and mainly their small children.People of village take out the Palli from the middle of the village and palli stops at 27 spots in the village. Each spot is having tons of Pure Ghee or Clarified Butter kept ready to pour on the "Palli" Rath. This tons of Pure Ghee is donated by the millions of people who come to this small village to visit the Palli and take blassings of Goddess Vardayini. Every year about more then millions of people visited a small village to have a gimps of the palli.each person who visit the village, put some amount of Pure Ghee on the drums kept on each spot.collected at one place and poured on the Palli in just few minutes. 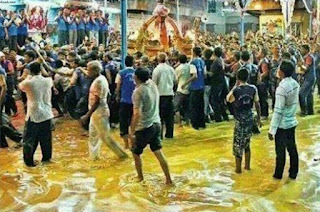 every year about more then lakes kg of Ghee poured on the Palli.After the Palli leave from one place, you can see the small river of Ghee flowing from that place. 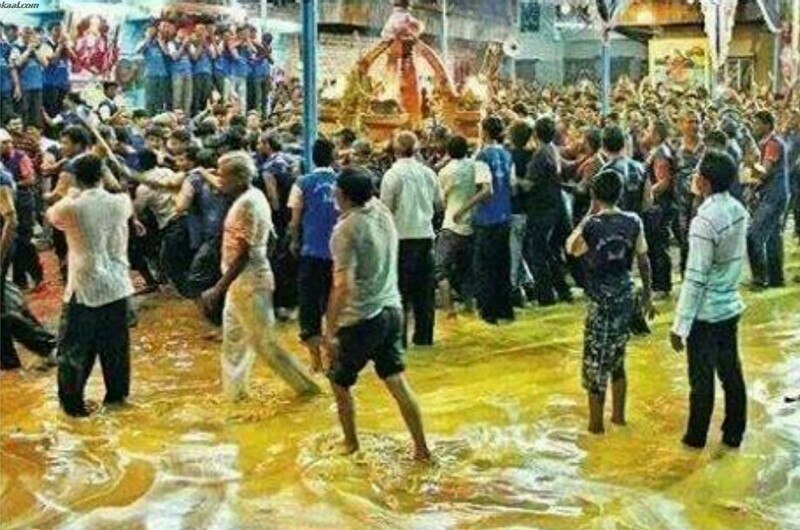 To leave that spot, you need to walk out from that small river of Ghee. 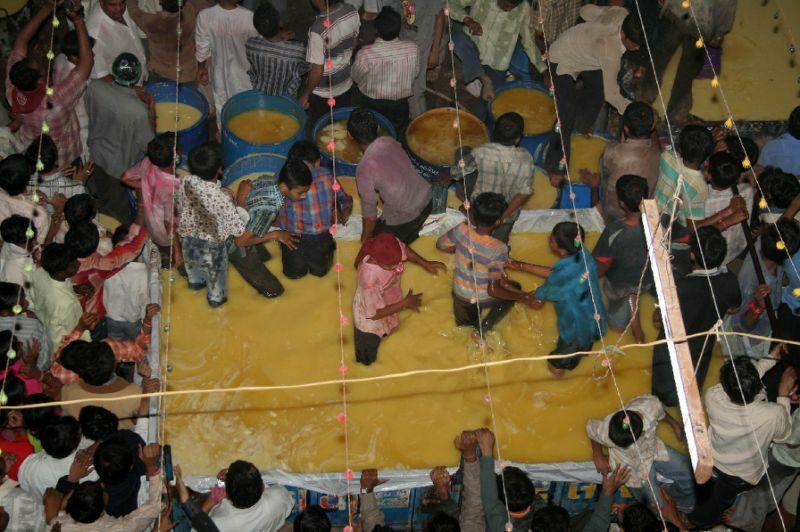 Even after a months of the festival, smell of Pure Ghee comes out of the streets of the village. The "Palli" is a made from the wood of tree "khijada" on the same day itself. Its a wooden frame of about 8-9 feet height with stand to lift it. Holy fire (Akand Jyoth) kept at 5 places on the frame, one at the top and other at the four corners of the Palli.